Some exciting news today of our first collection of designer jewellery! 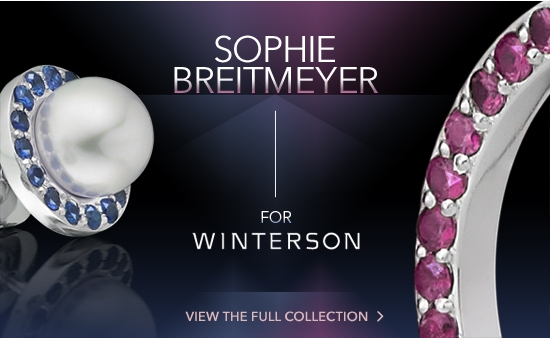 Winterson, the online luxury brand specialising in pearl jewellery, and Sophie Breitmeyer, the award-winning young British jewellery designer, announce the launch of a colourful new collection of contemporary pearl earrings and pendants for 2011/12. The unique collection brings together two key trends with the combination of vibrant block gemstone colours and classic pearls. Sophie Breitmeyer, a graduate of Central St Martins, was recently described by Vogue Italia as "a new talent to watch" and was previously a winner of the Bright Young Gems award in 2010. Since graduating, she has developed a strong following for her creative approach to design and her combinations of unusual stones and different coloured golds. Sophie recently collaborated on a catwalk collection with design duo Fyodor Golan, winners of the Fashion Fringe award at London Fashion Week this September, and has worked with Amber Le Bon on her collections. The collection for Winterson is designed to be highly wearable for the daytime and for the evening. Three new jewellery designs for a pearl stud earring, a pearl drop earring and a pearl pendant combine colourful circles of gemstones such as pink rubies, blue sapphires and green tsavorite garnets to create nine individual pieces. 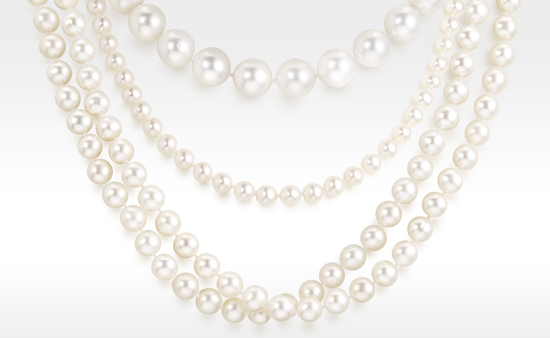 At the centre of each design is a classic Akoya Pearl, a white saltwater pearl that was one of the very first pearls to be cultured in Japan and is widely admired for its quality and lustre. The pearls are hand selected by Winterson for this collection, which is finished in 18 carat white gold and manufactured to the highest standards in Britain. Starting at retail prices from £945, this new collection designed by Sophie Breitmeyer is exclusively available today from Winterson online.